Welcome to Taste of India, a Tandoori Takeaway and Restaurant serving delicious Indian cuisine. Taste of India is based on Essex Road in the Islington area of London, and is a modern, comfortable restaurant with a fantastic atmosphere including nice Indian music. Established in 1987, Taste of India has been under the same management ever since. Our Chef from Bangladesh has more than 25 years in catering and is proud of all our Indian dishes, including the Taste of India Special and Special Chicken Tikka Feeyazi Bhoona. 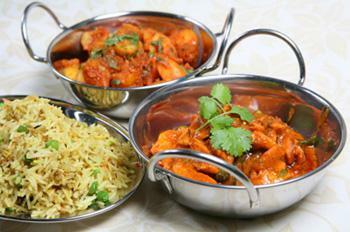 Here at Taste of India an Indian Takeaway in Islington, we have a wide range of menu options. Serving delicious Indian food, we are sure we have something for you to enjoy. Free Delivery over £15, £2 Charge under £15. Delivery only available to postcodes within 2 miles.